Code Templates are reusable code snippets. Telerik Just Code helps to create reusable code templates for better developer productivity. Now pressing tab will give you next variables to choose. In this way you can insert any code template by choosing it from popup. You can insert a snippet using their acronym also. After the acronym press Shift+Space to insert code template. 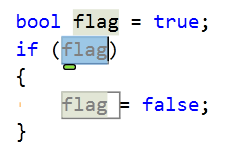 You can also define your own code template. 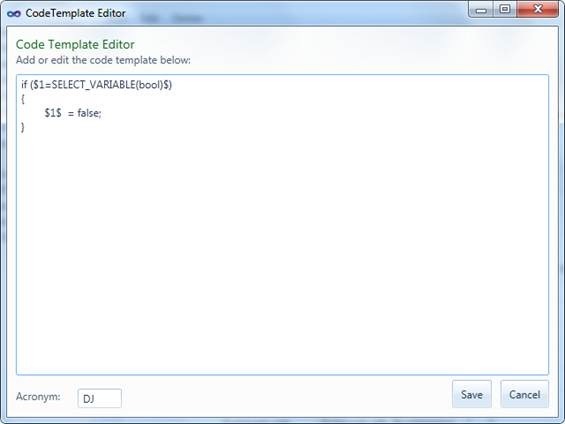 To create a code template click on JustCode->Option->CodeTemplate option from menu. 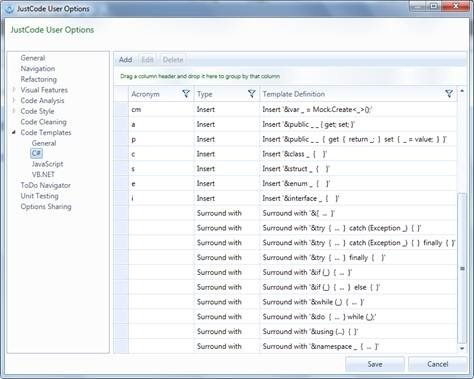 Then click Add to add a new Code Template. Number is any natural number and function is any existing template function. 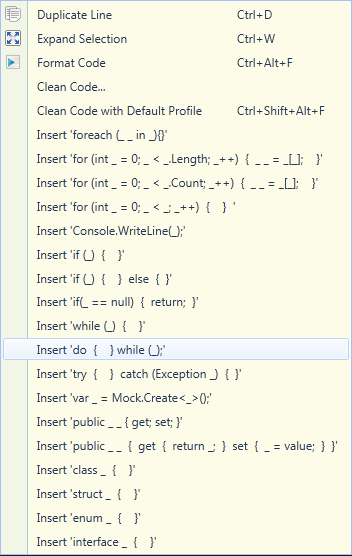 If you want to create a basic template for If statement you can create it as below. I am giving acronym name as DJ.